With COAI agreeing to the TRAI recommendations over Privacy, Security and Ownership of Data, the questions related to its implementation, policy and threat to national-security still exist. According to a report by The Hindu, The Chairman of the Telecom Regulatory Authority of India, R.S. Sharma, has called neutral net critical for India. In the report, he shared that India is leapfrogging technology and not following the development process as was in other countries. From that perspective, he says, a lot is going to depend on the Internet whether it is health, education or agriculture. They are all going to ride on this platform. Therefore, it is particularly important from a developing country’s perspective that the Internet remains non-discriminatory and innovative. Therefore, the gatekeeper should not be allowed to control that platform or in a way to create walled gardens. At the same time, one has to be very pragmatic, he warns in the report. In terms of implementation and policy, he explained how TRAI has created two exceptions — a special category of applications, for example, remote surgery and special situations such as a natural disaster. It has not hard-coded it but instead has left it to the government. Even on the enforcement, Mr Sharma says that TRAI did not want to hard-code the methodology. It felt that an industry-led body will be able to do a better job. The report stated that the recommendations were made keeping Indian conditions and requirements in mind. Addressing the criticism over TRAI’s proposal for public Wi-Fi, citing security issues, TRAI Chief called them completely unfounded. He assured that nothing that has been proposed is against the law. He assured that TRAI has proposed an architecture to create a truly interoperable grid of Wi-Fi hot-spots. What TRAI has proposed is that all the players in this ecosystem should be registered with the DoT. Through this view, it believes this will truly empower people and will fulfil one of the important promises of Digital India viz. ubiquitous and affordable connectivity. 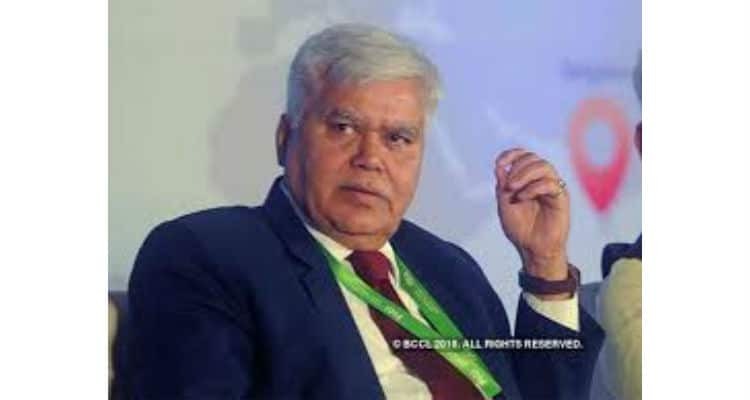 He labelled the security-related criticism ‘absolutely bogus’ and states that TRAI works under the TRAI Act within the framework of the law. It works with full transparency and brings out any recommendations/regulations/orders after consultations and discussions. According to him, TRAI has proposed to the government a change to the laws so that we can levy penalties for non-compliance of licensing conditions. TRAI has also increased the frequency of the road test so as to make it more transparent. TRAI Chief also mentioned that The Telecom Regulatory Authority of India has created an application called MySpeed to test data speeds. Besides this, it has created a new framework for quality of service. The benchmark of less than 2% call drops was hiding many things such as underserved areas or situations where a particular tower was not repaired or rectified for a long time. TRAI has also designed a metric which captured both these situations. According to the report by The Hindu, He believes this to be a huge improvement over the earlier mechanism. Only two quarters have passed since October since the new norms were implemented and TRAI has also levied financial disincentives on those who have not passed the benchmark. According to him, it is going well for now and of course, to have a long-term impact; one will have to see the performance over a couple of quarters. Mr Sharma also admitted that because of VoLTE, there was a new way of delivering voice. There were two problems — call mute and call setup time. TRAI has had consultations and will soon bring out recommendations on whether these two additional parameters should be included in the call drop norms or not, the report said. TRAI chief: “Security-related threat absolutely bogus” 0 out of 5 based on 0 ratings. 0 user reviews.